With part of its motion nestling on a running plate there is nothing but a bleak future at Great Bridge awaiting BR Caprotti Class 5 4‑6‑0 No. 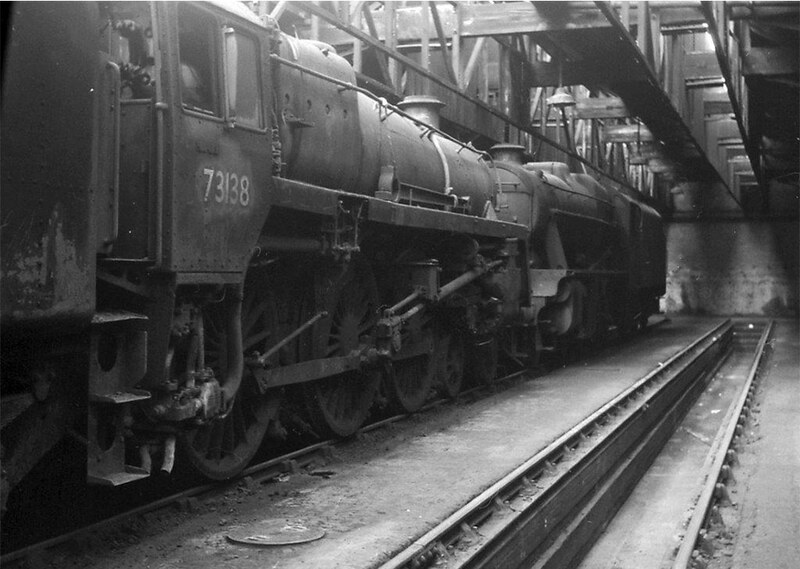 73138 inside one of the straight running sheds at 9H Patricroft on 22nd June 1968 shortly after withdrawal. 9H Patricroft after all but total closure was a sad place to visit on 27th July 1968. At the forefront is BR Caprotti Class 5 4‑6‑0 No. 73143 with its smokebox and shedplate numbers crudely stencilled on the smokebox door. To the left of No. 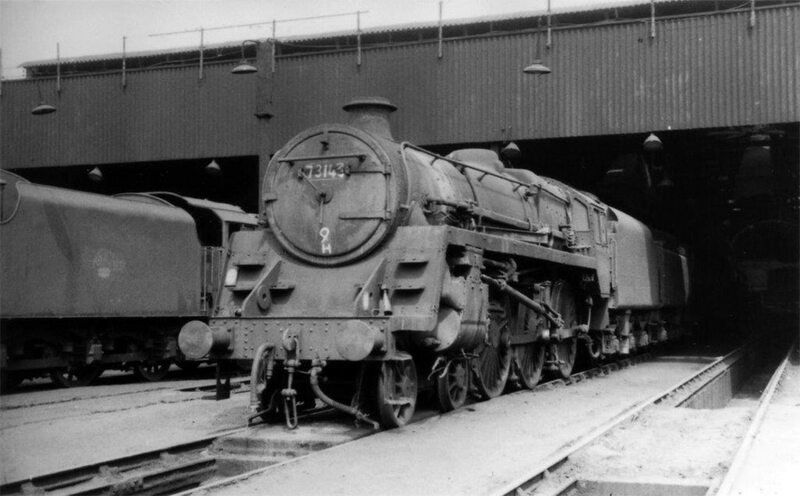 73143 is LMS Class 8F 2‑8‑0 No. 48170, cut up at Draper’s, Hull in late December 1968. 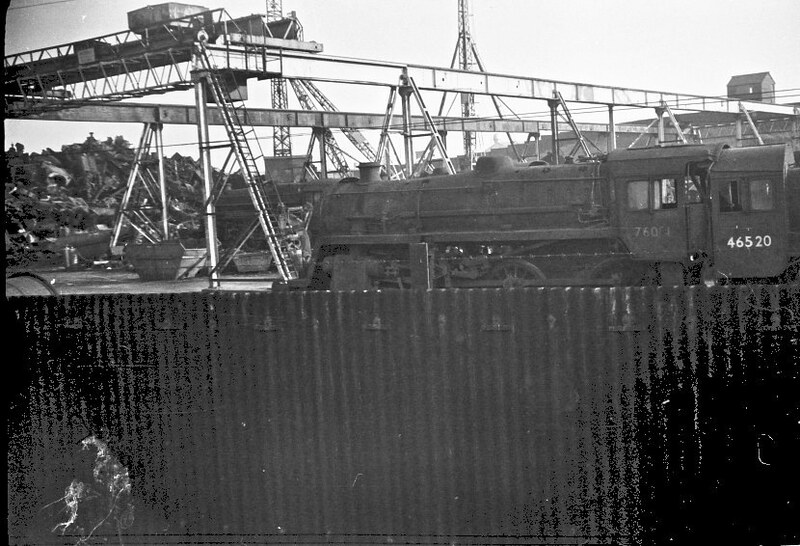 BR Class 4 2‑6‑0 No. 76051, withdrawn from 8G Sutton Oak, looks a sorry sight, minus its tender, amidst the gantries inside Cashmore’s yard on 7th January 1968.